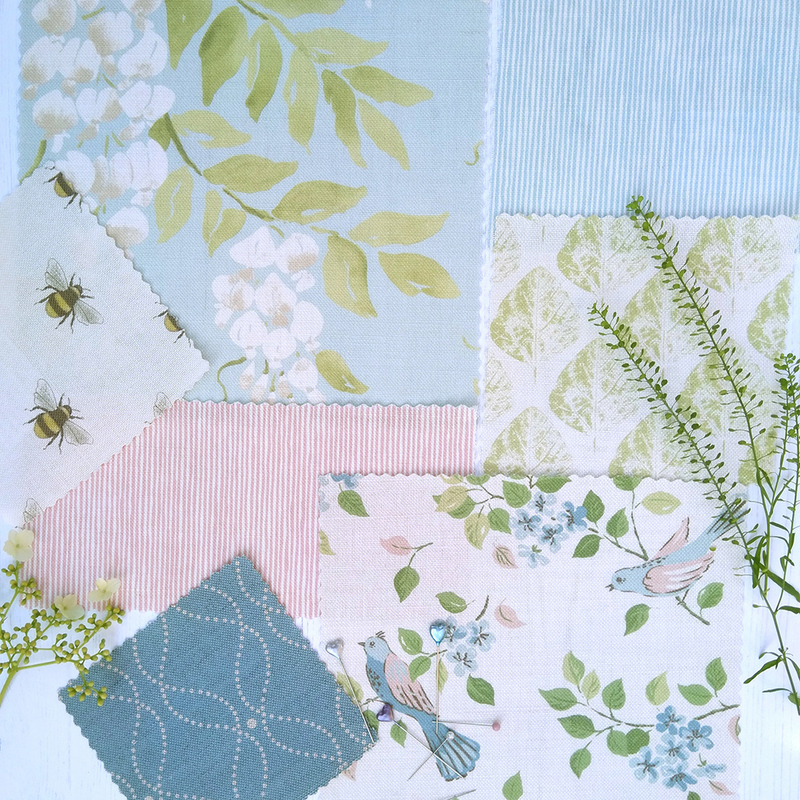 In celebration of Summer, I’ve collated this pretty palette of pinks, greens, blues and whites. This palette is gorgeous, and for those of you who know me well, will know it’s one of my favourites. I’m constantly inspired by the effortless combinations in nature; uplifting summer skies with wild flower meadows work together to make a joyous combination. Here I’ve used our Wisteria sky as the lead design and mixed it with smaller scale designs to add interest. Don’t be afraid to experiment with different patterns in the same room, it’s unlikely they will be right next to each other and choosing a different scale adds interest. You might have noticed that I have sneaked in a new pinstripe fabric in the photo. This will soon be available in several colourways and I’ll keep you posted. Meanwhile enjoy this lovely weather!